The idea of segmentation is familiar enough in the marketing world, but as in most things, some people just get it. Lisa Kenney, Sr. Demand Generation Marketing Manager at Blackbaud, is one of those people. She’s always looking for ways to take her marketing to the next level and has tremendous insight on how to do just that. In her words, “Data is your best friend.” By putting effort into knowing your customers more deeply you can begin to segment them in ways that aren’t always immediately apparent. With more segmentation comes more opportunity to structure your content in a more customized way, even developing various “personas” for different segments of your audience. This can be content explicitly created for each segment, or you might find that content you’ve already created can be reworked and adapted to a new segment. This may sound daunting, but by utilizing the tips Lisa has to share and putting in a little effort, you can be well on your way to better segmentation and a more nuanced relationship with your customers. Lisa’s “baby,” as she calls him, is an English Bulldog. Did you ever have any good stories when you were at Segway of people who were lazy enough to walk their dog on a Segway? While she doesn’t have any dog-walking stories, there were plenty of cringe-worthy tricked out Segways that the staff would encounter. 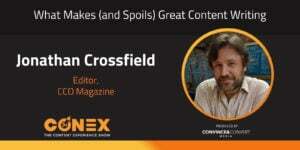 Randy Frisch: Welcome to the "Content Pros" podcast. I'm Randy Frisch from Uberflip and for the first time today, I have my new co-host who's going to be joining. Anna Hrach joining us from "Convince & Convert." We are going to essentially kick off a new season of "Content Pros." We're going to do so in an area that I love talking about. Maybe I'm a little biased and boring sometimes, that I don't like thinking of content in a silo, but thinking of content as to how it helps us in our entire buyer journey. I always go back to one of my favorite definitions of content marketing. It comes from the Content Marketing Institute and it talks about "content marketing is a technique of creating and distributing valuable, relevant and consistent content to attract that clearly defined audience," but I love the part at the end where they always say, "with the objective of driving profitable customer action." I think that's one of the things that ... I'm not going to say a lot of us content marketers overlook that, but I think we do get caught up in the grind of having to create more and more content or some of us in a good way move from perhaps the quantity to the quality, but the question really becomes is that quality there to drive the outcomes for our business that we care about? I know, Anna, that that's something that you work a lot with clients at "Convince & Convert" to focus on. Anna Hrach: Totally. You know what's funny, Randy, is I know on the last episode, we said we weren't going to agree on everything and eventually, we will disagree, but today's just not one of those days. I completely agree with you. You know what's funny? Is we actually have the perfect guest here today who can talk to us more about that and what her efforts are. We have Lisa Kenney here today. She is the Senior Demand Generation Marketing Manager for Blackbaud. She actually works every day to drive demand to support the bookings budgets for the Arts and Cultural vertical at Blackbaud. Lisa, thank you so much for being here today and welcome to the podcast. Lisa Kenney: Thanks for having me. Anna Hrach: Yeah. Would you mind just kicking us off and telling us a little bit about yourself, maybe diving a bit into your background and a little bit more about what you do on the day-to-day. Randy Frisch: Did you have a segway? Sorry. I got jump in. Did you actually have ... Does every employee get one? Lisa Kenney: Basically, I got to borrow them whenever I wanted. There's probably photos out there. We all had to be models/employees so there's probably still use of my likeliness somewhere, but yeah. We just had access to them so I never owned one. I just basically borrowed them. Yeah. Randy Frisch: Okay. Sorry. I killed your flow. Keep going. I ... I'm so excited now. Lisa Kenney: Yeah. No. That's fine. It actually was a really cool time to be in marketing at that time. There was no Marketo, right? There was no ... I think my marketing automation was a mixture of Formstack and WordPress and Drupal sites. After I left there, I moved on to the E-commerce space. I managed a B2B and B2C E-commerce website. Rebuilt them. We were awarded an Internet Retailer Hot 100 in 2015. When I was done with the project, I was a little bit bored. I missed doing more of everything that's involved in marketing, not just the online stuff. There was an opportunity at Blackbaud to become Senior Demand Generation Marketing Manager. I was already doing that pretty much at Segway. Plus, I had all these additional E-commerce digital skills so I was just like, "I think this is my next step." Now I'm just so happy because we have the sophisticated tech stack. I have these tools that I would've never had 10 years ago. For now, my day-to-day would be logging into the different tools that I use so that would be Uberflip, Brightfunnel, Salesforce, Marketo. I leverage SnapApp for interactive content, but then I also have to do everything in the market. I have to make sure I'm going to the right trade shows. I'm sponsoring the right associations. Then obviously, creating the right collateral and marketing materials to be able to distribute, which I use Uberflip for all of my resources. All my resources are located on arts.blackbaud.com I guess. I should say. What else? Randy Frisch: That's a pretty good start. Anna Hrach: That's a lot. Randy Frisch: I know. It's like ... I know one of things that Anna always likes to know is to obviously get that budget for all that software and things like that. You obviously have to have a big plan. Maybe you can talk about some of the keys to how you justify to be able to get that budget, to have such a sophisticated approach to, not just content, but maybe how content's used. Lisa Kenney: Yeah. Luckily, I came into it where I believe Uberflip was just being implemented when I started at Blackbaud in 2015 actually so I just basically adopted the tools that were already in place. We have ... Mary Pat is our VP of Marketing and she believes in making sure that everything is connected. You can see ROY. She drives the [inaudible 00:05:42] team and the product marketing team so she attends serious decisions and is really up to date with the best practices and strategies with applying the funnel, MQL, SAL, SQL [inaudible 00:05:56] and just really adhering the recipe and levering the tech stack to do so. We have a marketing operations team that evaluates software before it's implemented to us and then we have beta testers. I tend to be a beta tester of new technology. I don't know what's coming through the pike next year, but I know that we're always open to trying something new, especially if it's going to streamline our processes. I think because Blackbaud is a very large company that is very software driven, we build and sell own software and services, so we want to make sure that we're also being savvy and modern with our marketing tools as well. Anna Hrach: Lisa, along with a lot of those tools and technology, you use a lot of them to do a ton of segmentation, correct? You've actually been described as a segmentation All-Star. Lisa Kenney: I love that. Well, I do have to ... I can't take full credit for the segmentations. We do have wonderful product marketers who really understand their market. Within the Arts and Cultural Division, I got to work with a wonderful product marketer, who had already segmented the business based on reserved seating, general admission and cultural foundations. I just was like, "I think we can take it further." With arts.blackbaud.com, I was really able to organize my categories and start to talk to general admission based on aquariums, gardens, museums and zoos and then take it even deeper based on persona. Are they a marketing professional? 'Cause we have software for you. Are you a fundraising professional? We have software for you. Are you an accounting professional? Are you membership management? Are you retail? Within our Arts and Cultural Division, we have solutions that actual consolidate your operation so that you can see a 360 view of your customer, but we need to make sure that everybody's on board, right? My job is to make sure that all those different personas see the value of leveraging one consolidated solution. Then on the flip side, with the reserved seating, same thing there. Also, with cultural foundation. The next level that I tend to do a segmentation is based on what you're engaging with so did you engage with emails? Did you download a datasheet? Did you participate in a webinar? I might only want to target you based on those certain things. For example, everydayhero is a software solution that we provide here at Blackbaud. It's basically Peer-to-Peer Fundraising. Peer-to-Peer Fundraising is not super popular in the Arts and Cultural space, but there are really trendy things that you can do. You can do a dance-a-thon or you can do an overnight - I don't know - party or something. I'm not sure, but we have put some resources up on arts.blackbaud.com to see if anybody is interested in Peer-to-Peer Fundraising. I found about 250 contacts have engaged with those resources so we have a webinar coming up to learn more about our Peer-to-Peer Fundraising solution. I've decided that I'm only going invite those 220 people, who've actually shown interest in any of those resources I have. They might not be the right persona, but because they've perused it and they have downloaded something, I wanted to see if they're going to take a bite out of that email and join the webinar. The webinar's in a few weeks. I guess I'll have to keep you posted if that strategy worked. The email goes out tomorrow actually. Anna Hrach: Nice. Well, I think, it's clear to me. It's so funny. You were so modest about being called a segmentation All-Star, but I think everything that you just talked about pretty much proves that All-Star status. You are clearly doing segmentation at a really, just very nuanced level, on a very advanced level. In personas and segmentation, it really is the Holy Grail for a lot of marketers out there, but it's really difficult to implement. Do you have any tips and tricks for anybody whose maybe even just starting with segmentation or starting to look at personas or even just at the very ground-level on maybe where they can start and get past some of those big first hurdles? Lisa Kenney: Yeah. I think data is your friend, right? Obviously, you need to have some clean data to be able to do a lot of this segmentation, but for the most part, we all want to believe our database are pretty decent enough where we know, at least, your name, your organization. For us, we know a little bit more about your organization because they’re non-profit so we know how much you make a year from contributions and/or revenue. For me, Salesforce is my best friend. Anything in Salesforce can be pretty much a slice in Marketo's Smart Lists, right? As long as it's syncing over. We have most of that soft syncing over. For me, I tend to segment by revenue. I could do location. I can do by the type of title you have. I do it by the type of organization you are and like I said, with resources as well, I think you just really define your market, too. Who do you want to target? Who do you want to go after? Then what data's available to you to make a very strategic Smart List in Marketo or whatever automation tool you're using. I think an audience analysis is super important to start. Then take a look at your lists and also take a look at what they're engaging with. Do you have data related to what they've accessed and what they've played with? Can you play off of that type of a play versus just always using your Salesforce data? Randy Frisch: That's great advice, Lisa. I have a really big chicken before the egg question for you, but it's so big that I feel like it could use our sponsor reads as a brick here. Then we'll bring it back 'cause everyone's going to want to know what this analogy is and how it ties in so we'll do a quick break. 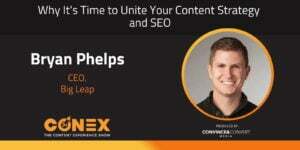 Hear from a couple of our sponsors and we'll be right back with Lisa on "Content Pros." We're back here on "Content Pros." We've got Lisa Kenney. We just got a really easy to understand approach to a very complicated problem, which is how do we segment our audiences? How do we find out what they're looking for? What's going to resonate for our business? I want to start to layer the actual content story in here now, but before we do, as I said, I've got a chicken before the egg, if you will, question for you, Lisa. It's ... It comes back to this idea of all the segmentation, all the data analysis that you're doing and I'm wondering from a contact creation perspective, are you creating content and trying to match it to those personas? Or are you figuring out the personas first and letting that inform your content creation strategy? The answer maybe somewhere in the middle, like any chicken before the egg question, but answer, but maybe you can take a stab at that one? Lisa Kenney: Yeah. It's totally somewhere in the middle because I feel ... Let's pretend that you've never really done a lot of segmentation, but you have a lot resources already. There's probably those resources can be reorganized into the new personas that you're creating, right? Then there's new content that you got to create because you realize I don't have enough for one persona versus the other. I feel I had that revelation when I was building up my Uberflip pop. I feel like ... I was like, "Oh, gosh. I really don't have a lot of membership resources." This is actually true. Next year, I am making sure that I'm doing a MP engaged block series on membership. I want to make sure that we have those topics coming at bbcon, our annual conference. You start to see the holes when you start to take your resources and drop 'em into segments. You're like, "Wow. I really need to focus more on this persona 'cause I don't have enough for the IT professional who wants to understand what consolidated ticketing is." I think there's a little bit of that, but then because we have that sophisticated tech stack, because I have Brightfunnel, because I've set up my hub so that each resource actually has its own job number. I can actually see how each resource is performing. I can actually see if the resource has influence to anything. A great case in point could be I have a data sheet and it's actually a bundle. It's using our accounting solution and our ticketing solution and it's just talking about how the two work together. It's one of my most popular datasheets. Then it's the most out-of-date datasheet. It's actually horrible and I'm embarrassed by it. I have it on my list to update 'cause it's imperative that I do. Right now I'm looking at it and it has influenced over 350K in pipeline and 204K in bookings. I got to fix this datasheet. I think because you can start to look at data and I know that that datasheet's good for a multiple personas 'cause it talks about multiple departments coming together, agreeing on a bundle of solutions, I feel with this data, I can drive my strategy with content. I know that maybe ... What else am I looking at here? I'm looking at a couple of demos. I actually find that my on-demand demos are actually doing better than my live demos, but one reason for that is I encourage people to sign up for on-demand recordings if they can't make the live event. I also feel people need to digest content in different ways. Yes. I have a live event, but then I also need to make sure that it's an on-demand recording and maybe I want to turn that into a SnapApp as well. I feel this conversation's segwaying into repurposing content, but I think if you're able to look at data; see what's working, what's not working. Define your segments. Take your existing resources. See where they fit in your segment. See where your holes are. Get a sophisticated tech stack. See the whole story. You can then make better decisions on like, "Where should I go next year?" For me, I have my roadmap for next year. I know exactly what I want to do, but then you also have to be nimble. I feel in today's world, data changes. Things change. Environments change and you need to be able to roll that so I don't plan out my full year super detailed. I have my overarching strategies campaigns. I have ideas on content that I want to create, but I know that there's going to be content that happens along the way that I'm just going to have to roll with over time. Hopefully, that gives a good understanding of the chicken before the egg and it's really a mixture of the two. Anna Hrach: No. Totally. I love that whole message about being flexible and just allowing for things to change and grow and evolve because it never always fully works out the way that we want them to and sometimes in the best way possible. A lot of times, you had mentioned, once you start hooking up those data pieces that really can change things for the better. When you started hooking up all of those pieces of information and getting that really big picture, was there anything that really surprised you? Or even just confirmed a lot of the hunches you had? What did that look like once you got it all together? Lisa Kenney: Gosh. I feel like ... I was one of the early adopters of Brightfunnel. We just got that back in March. It's totally opened up my whole world. For me, I realized that a resource that I wasn't necessarily promoting ... I was promoting, but not deep diving for example. We come out with a charitable giving report every year. It's done by our corporate team, and I promote it. It's very thought leadership. It's something we've come out every year. People look forward to it. Well, come to find out, it's actually my number one resource, and it's thought leadership for sure, but it's industry. It's an industry report. It actually does go into each individual industry, so it talks about health care, maybe the education industry. It talks about arts and cultural industries. Right now, it's one full book. I realized wow, this book has so much impact on my market so I decided that I was going to leverage that resource along with some of the other fundraising best practices that we have and do a new Boomerang Campaign and also a New Peer Prospect Campaign. When I say boomerang, I mean you were once a Blackbaud customer and you've left. We've come out with some really awesome things and we probably stop talking to you and we probably didn't show you the new products that we have. I've decided to group those people together. I started with the fundraising persona first and I reminded them of the good stuff that we have. It was actually a really cute email. I don't have it in front of me, but it was "Hey, you may know us." Or "Hey, there, let's get reacquainted." I did see really wonderful open and click-through rates just sharing those thought leadership resources of "Hey, you might remember downloading this when you were a customer. Well, we still produce it and you can still access it." The cool thing that we're doing with this charitable giving report this year is we're actually going to make an abridged version just for arts and cultural. We're going to take out the data that's arts and cultural specific. I'll promote the big one when it launches and then I'm going to have my own little version for arts and cultural and see where that's going to take me, where I'm getting a little bit more specific to my market and pulling out the information that they only care about. That's one approach that I'm taking when I see this new data. Brightfunnel is what's most popular and how can I take it to that next level for next year? Also, on the flip side, what's not popular, right? What is just not resonating? I have lots of those. Randy Frisch: It's funny 'cause as you described that and you were describing this very sophisticated approach to how you're leveraging content and I like how you went into this idea of looking back to those interesting moments within that person's interaction with you and leveraging them. Think about us in our day-to-day, all three of us. Some of the things that we love is when we go on Facebook and they've curated our story from the last year, right? All they're doing is they're levering data and showing us how much we love that platform, be it Facebook, Instagram, what have you. 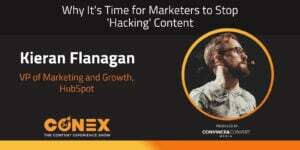 I think, as you said, those are the things that we have to do as marketers with our content is really use the understanding that we're developing with everyone who interacts with us on a day-to-day basis, not this week, but over time and actually deliver the content that's going to be really meaningful to them. Lisa Kenney: Everything I do I want it to be meaningful. I really don't batch and blast. I don't send out anything that's just going to be a one-hit and hopefully, people MQL off of it. I just can't work like that. I want to be strategic. I want to make sure ... Like I said, quality over quantity is so important to me. Just having these new insights and being able to repurpose the content and/or create new content based on these insights, it's really fun. It's really fun to be a marketer right now. Randy Frisch: Well, I want to hit on another thing you said really quickly. This was at the beginning when we were diagnosing the chicken before the egg. Before the break, you actually talked about, I think the term you used, was audience analysis? Then what we were talking about was okay, how do you actually group the content you have? Again, it reminded me of my life, right? It's we don't realize what we have until we sit down and start to sort through it, right? Sometimes, my kids are like, "I don't have any toys." I'm like, "Okay. Let's go down to the basement and actually empty these big bins and realize how many Disney cars you have," right? We take for granted all that stuff we bought or in content world created over the years. Maybe you could talk about some of the ways that you do tag that contented skill because at Blackbaud, you guys have a lot of content. Lisa Kenney: Geez. I mean, seriously. We are a content machine. For me ... it's actually not rocket science. It's an Excel file. I have one Excel file that has all my gated resources on it and each ... The way that it's set up is I literally have the Uberflip number ... Sorry when you upload ... What do you call that? The Uberflip ID. Sorry. I have the content ID in column one. I have the job number in column two. Now I have a general job number for everything. It's actually number 11168. However, the extension changes depending on what it is so let's say it might say underscore video, underscore ultra reporting. It might say underscore datasheet, underscore Financial @jetxt and so I know exactly what resource is what. I take this Excel file. I have the job number in it. I have a link to the resource just for my own personal reference. I have how many points they're going to get when they access it. I have the Marketo interesting moment that will be seen in Salesforce. I give that to my mat team to help me hook it up. Then I usually create an autoresponder. I indicate whether they have an autoresponder or not and because I've set up my Excel file with every resource with its own little job number extension, I'm able to see how each one individually performs. I find that a lot of people tend to just use one job number for all data sheets, one job number for all customer stories and that's fine, but if you want to get super nitty-gritty as to the exact resource and how it's performing, you got to use individual job numbers and build it out that way. For me, I just manage this Excel file and it's my master document. If I give anything for free, if it's an article or a tip sheet or info graphic that I'm not gating, I don't bother putting it on my Excel file. Yeah. It's really just an Excel file that I use. Anna Hrach: Honestly, it makes me so happy to hear that you have this amazing tech stack behind you and yet, Excel is still part of your day-to-day basis. I feel like no matter what, no matter how advanced we get, no matter what type of new tool or platform comes on the market, Excel is always going to be in our lives. I don't know what stranglehold they have on us or how they got it there, but I don't know. Randy, do you use Excel a lot, too? Randy Frisch: I love it. I'll admit I'm getting more and more into Google suite or G Suite. They're really catching up in a lot of ways these days, but Excel is still nostalgic for me, right? I don't know if it's going to be the same way. I guess Millennials if they're as Excel loyal as maybe I still am, but I can't envision my kids will, but I feel like they'll still have me for at least a decade. Anna Hrach: Totally. No. It makes me so happy to hear, Lisa. Also, the fact that you have this tech stack, including Excel and you have so much on your plate. There's so much to do on the day-to-day. You have often sometimes been described as a lone wolf or you're a department of one, correct? Lisa Kenney: Oh, my God. It's been the story of my life; my whole career, which is okay. Anna Hrach: No, but you know what? It's great because if you actually saw the most recent Content Marketing Institute reports, the state of content marketing. A lot of people are still in the same boat. There's still a ton of people out there who are departments of one. What's the biggest piece of advice or the biggest tips you have for those other fellow "lone wolfs" out there on how to manage the day-to-day and just how to sell in segmentation to their organization or how to start really getting people on board with this approach? Lisa Kenney: For me, whenever I do a new campaign that might be different, that maybe other people aren't doing at Blackbaud, I always put together a deck. I pull reports. I actually do series of decks to see the progression. Right now, I actually pull reports from Salesforce, from Marketo, from Brightfunnel and I have to piece the story together. You can't just look at one and get the full picture so for me, I try to put a deck together so that ... Actually just yesterday, I presented to my team on a SnapApp, a piece of a campaign. A SnapApp that I did that was part of a bigger campaign and I did a hone in on how the SnapApp's performing, but then I did a hone in on how the whole campaign's performing. I usually try to put a deck together so that I can share the wealth with the rest of my team. For me, it's about priorities, right? I have goals that I adhere to. I have lead goals. For me, because I might be down a few members on my team, if it doesn't relate to my goals, I might have to put it on the back burner. However, I also have a hard time just leaving things to the side so there is a lot that I've picked up the slack on 'cause I don't want to see it fall to the wayside. I will hopefully have a counterpart next year. I know they're working on it. It's more of a product marketing role. I have a running list for that person and I'm trying to keep the balls afloat, but knowing that I'm probably dropping some. It's really just comes down to priorities. Honestly, I don't do anything unless it's going to give me ROI or at least, I can measure it. I might have to put to the wayside some of our Champions programs activities and some of the fun things that we do for customers that maybe that person would've picked up the slack on. I may have put that to the wayside so that I can focus on my goals, but it's just all about setting priorities. I am a huge to-do lister. Every morning, I almost recreate my to-do list so I just try to stick to that and that to-do list is never going to go away. It's always growing. Anna Hrach: Do you ever actually like complete a to-do that's not on your to-do list and then just write it on your to-do list just to cross it off? Lisa Kenney: Yeah. All the time. Anna Hrach: Yeah. I do that all the time. Anna Hrach: Otherwise ... It's proof that it happened. Otherwise, it didn't. Randy Frisch: That's awesome, guys. Lisa, this has been awesome so far. I think a lot of marketing leaders listening in on this are taking notes or trying to figure out how they find people like you who are this ROI minded when it comes to content, but as we wrap up here, what we always like to do is also just get to know you outside work a bit. I'm trying to figure out how to combine data that I've gathered over this podcast and also data I knew before to ask these questions. I'm going to try and combine three really interesting pieces of information so one is I know you like dogs. What kind of dog do you have again? Lisa Kenney: I have an English bulldog and he's my baby. Randy Frisch: Okay. Beautiful. So cute. So cute. They're kind of a pain to walk a times though, right? English bulldogs? Lisa Kenney: No. He doesn't go outside. I'm from New Hampshire so it's really colder here right now so he's been holding it way longer than he needs to 'cause he doesn't want to go outside. Randy Frisch: My question was going to be ... Maybe the fact it's an English bulldog means this. Did you ever have any good content stories when you were at Segway of people who were lazy enough to walk their dog on a segway? Lisa Kenney: Oh, gosh. There are so many crazy stories. There's actually ... I don't know if they still do it anymore, but there used to be a Segway Fest every year. Picture Comic-Con on a small scale of just people who obsessed with Segway. They would actually ... I don't have a lot of stories of people walking their dogs, but I have maybe more stories of people being over-protective of their unit and over-decking it out. Pimping it out, I guess, is another word you could say. There's obviously ... We would always cringe, I think, when we saw people doing that. Anna Hrach: A low rider Segway? Randy Frisch: Like Disney folk, you know? But not the ones who go to Disney for the nostalgia. The ones who go to Disney and think they're a princess when they're 40-years-old, right? Those ones. Lisa Kenney: You got to have fans of your product, right? We probably have lots of stories. It was a private company at the time. I'm probably held under some kind of do not tell order still. Randy Frisch: Fair enough. Fair enough. We'll leave that for the next time you're on when you've gotten clearance to share some of these stories. Lisa Kenney: Let me go check my contract again. Let me go see what's there. Randy Frisch: Absolutely. Lisa, on behalf of Anna and myself, thank you so much for joining us on the podcast. A lot of the people who listen to this are looking for ways to take their content and use it in a more meaningful way and you're definitely setting a leadership example at Blackbaud and for other marketers sharing this with all of us today. On behalf of Anna Hrach at "Convince & Convert," and myself, Randy at Uberflip, this has been the "Content Pros" podcast. For those listening, you can find our past episodes at the contentprospodcast.com. Find us on iTunes, Stitcher, Google Play. Really wherever you're looking for podcasts, you can find us there and until next time, thank you so much for tuning in to listen.